Peter Wing was born in Kamloops in 1914 and has lived all of his life in that city. 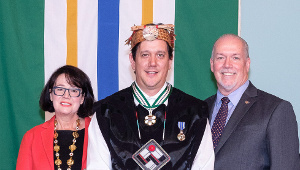 At the age of twenty he became the youngest member of the Kamloops Board of Trade and pursued an active role in the business life of the community as an orchardist and realtor. He became an alderman in 1960 and went on to serve three terms as mayor of Kamloops, beginning in 1966. 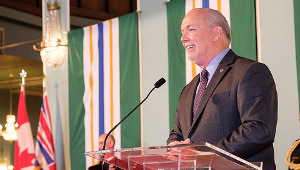 While serving a mayor he was also elected President of the Union of British Columbia Municipalities. Mr. Wing’s success in civic life is significant in that he was the first mayor of Chinese descent in North America, as well as being the first native-born mayor of Kamloops. 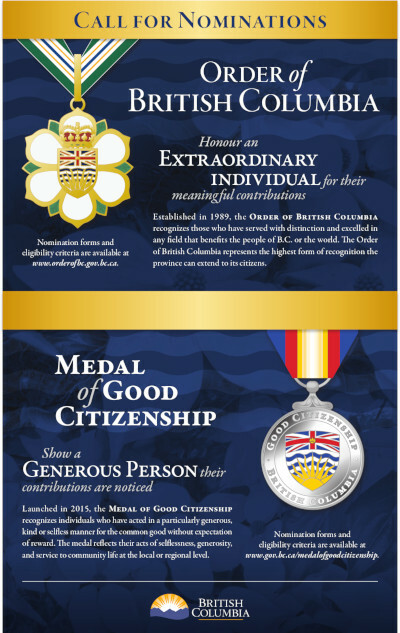 Mr. Wing is regarded with respect and affection throughout the Kamloops area by virtue of his enviable record of service for the well-being of his community. 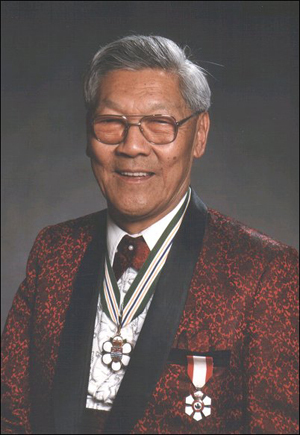 Peter Wing was made a Freeman of the City of Kamloops in 1972 and a Member of the Order of Canada in 1976. 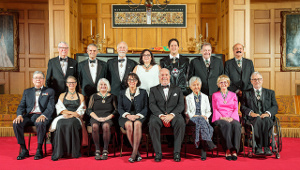 He was also a recipient of the Human Relations Award of the Canadian Council of Christians and Jews in 1977.